On 26th March 2019 the group held their Chairman's Reception at the House of Commons. Attendance was by invitation only. On 2nd April 2019 the group will be visiting a classic car auction. The next full meeting of the group will take place in May 2019 in the House of Commons. Further details to be announced later. The 2019 Annual Dinner of the group will take place on Tuesday 29th October in the House of Commons. On the 2nd July 2018 the Group organised a Classic Car Run from Bicester Heritage to Westminster followed by a dinner. 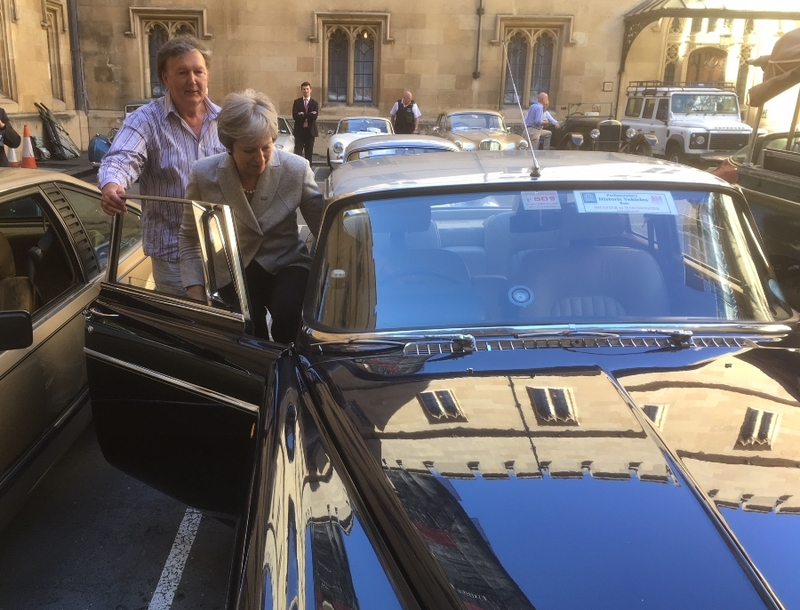 After the run the cars were displayed in Speaker's Court at the House of Commons where the Group's Chair, Sir Greg Knight, showed the Prime Minister Theresa May around the assembled vehicles. On the 24th April, members of the group visited a classic car auction. examine a 1941 Buick Eight during the Groups visit to a classic car auction.